We are extremely proud to sponsor Bolton Futsal Club. Futsal is a 5 a side version of football, generally played indoors with a smaller, heavier, low bounce ball and is widely played throughout South America and Europe. It is attributed to the development of a greater skill element of the footballers of those countries and was invented in Uruguay in the 1930s. The term futsal is an abbreviation from the Spanish “Fútbol Sala” which means room football. Bolton Futsal Club has been running futsal/skill sessions for nearly 8 years. Their club in its current form was established in Nov 2014, and had their 1st club training session in January and played their 1st matches in Feb 15. In 2 years the club has grown to be the biggest youth futsal club in Lancashire and the only futsal provider in the Bolton area. They have teams/players from Under 6 through to Under 16 and run training sessions year round at Horwich Leisure Centre, Bolton and Southlands High School in Chorley. 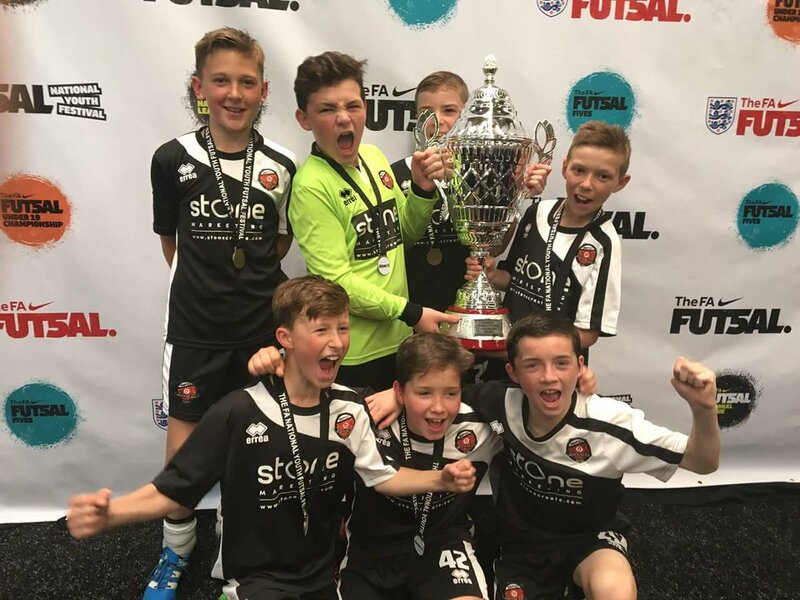 The teams have been very successful in a short time with our Under 12’s last year winning the national title after coming through 3 prior qualifying tournaments undefeated. They have also taken the teams on tours to Barcelona where futsal is main stream and Barcelona Lassa futsal club has crowds of 10-12,000. More information on Bolton Futsal Club can be found on their Facebook page here.